Click here to view this year’s Newcomer’s Guide! With detailed information about anything you might need as a newly settled Memphis resident, the Chamber’s Newcomer’s Guide offers background on jobs, education, family activities, neighborhoods, and much more. This is your guide to the city as you’re making Memphis your home. For existing businesses, the Newcomer’s Guide is a great way to welcome new employees to the city. 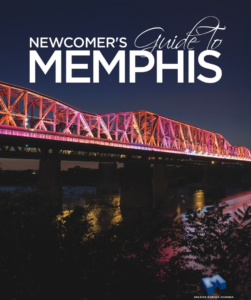 To purchase copies of the Newcomer’s Guide, contact the Greater Memphis Chamber at 901-543-3500.